Chlorine is a necessity for a clean, hygienic, and healthy pool. It is a staple part of a pool maintenance schedule because it is a powerful chemical that sanitizes and maintains a pristine swimming pool. However, chlorine can be a tricky chemical to add. You want to ensure it is evenly spread throughout the water, while also limiting the contact with your skin. 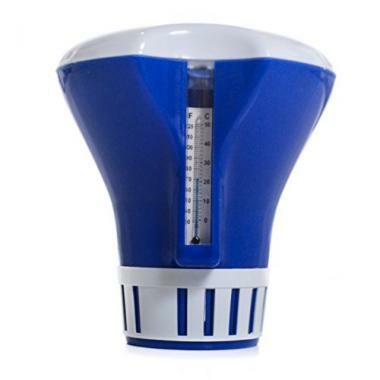 A top rated chlorine dispenser for pool water can do the hard work for you. Plus, it is an easy and safe way to integrate the chemical into your water. An automatic pool chemical dispenser will float in the water and use sticks or tablets of chlorine. However, there are a lot of different types and models. It can be a struggle to determine which swimming pool chlorine dispenser would best suit your needs. Our guide will provide you with all the information you need to find the best pool chlorine dispenser that will make pool maintenance a breeze. 9. Sinking Chlorine Dispenser by Sunken Treasure. 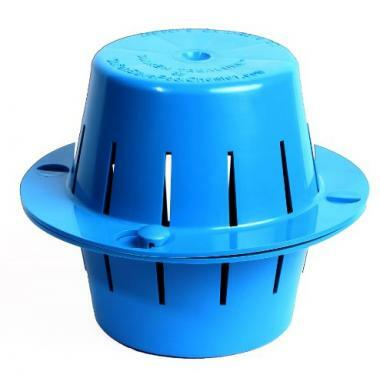 This chlorine dispenser uses an adjustable chamber, which controls the feed rate of the chemical. It uses 1-inch bromine or chlorine tablets. This design is safe for spas, hot tubs, and small pools. You can easily refill this design and the adjustable flow allows you to customize your pool maintenance. It has erosion control and comes with a float and tie string. This is an adjustable dispenser that allows just the right amount of chlorine to be released over time. The unit uses 1-inch and 3-inch chlorine tablets with additional storage for up to 5 tablets. It will float in the water and is durable to last from season to season. It also has a built-in thermometer for additional pool maintenance. This Chemical Dispenser holds 1-inch chlorine or bromine tablets and sticks. It has an adjustable control ring. It is heavy duty and will keep your water clean. It is safe for spas and easy to use. 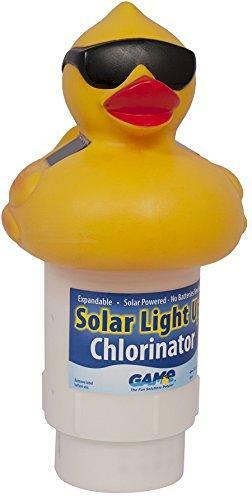 This chlorine floater has a fun duck design that lights up. It is an energy efficient way to keep your pool properly chlorinated because it is solar powered. It has an adjustable chemical dispensing rate, so that you can manage the perfect chemical balance. When it is empty, it will tip over to indicate it needs a refill. It holds up to 6 chlorine tablets that are 3 inches long. It is perfect for pools of multiple sizes. 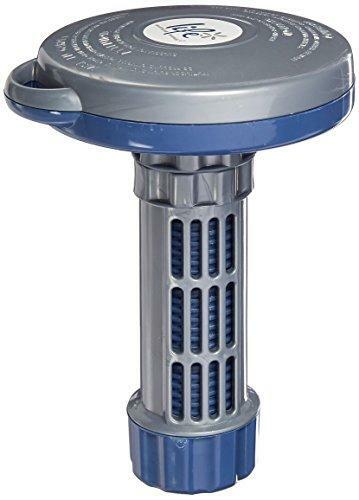 This adjustable dispenser will float in the pool and release the chlorine over time. It uses 1 and 3-inch chlorine tablets and has an additional storage for 5 tablets. It has a goldfish shaped top that is fun décor for your pool. When not in use, the unit collapses to save space. It is made of durable ABS plastic to ensure you can use it from season to season. 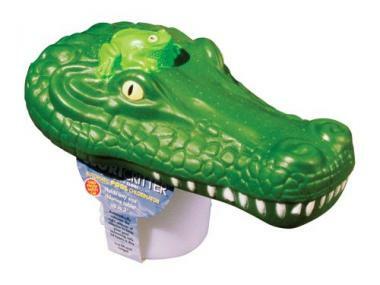 This is a fun design that has the shape of an alligator head. 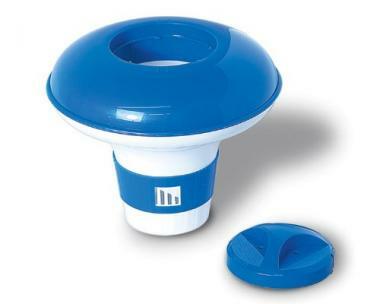 It holds chlorine tablets and easily dispenses them into your pool with an adjustable ring. It is made of non-corrosive and high-quality materials to be long-lasting. 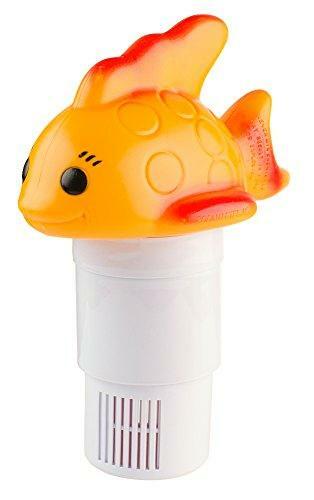 This chlorine dispenser floats with a balanced buoyancy. It has a twist-lock cap and adjustable dispensing. It can hold 3-inch tablets. This chlorine dispenser has a large capacity. It can hold up to 3 pounds of 3-inch chlorine tablets. It has a heavy-duty design to be long-lasting. It also has a locking cap and adjustable control ring. Sinking Chlorine Dispenser by Sunken Treasure. With this design, you can use less chlorine and reduce chlorine consumption. It floats when empty to indicate a refill is needed. It is safe to use because the chlorine tabs will always be submerged and constantly dissolving. It is durable, so you won’t need to be replaced every season. It is not recommended for vinyl lined pools. This heavy-duty floating chlorinator has a regular that is easy to adjust. It can hold up to 6 tablets that are 3 inches long. It is safe for use in all pool types. Pool maintenance is the biggest part of owning a pool. From checking water quality using pool test kits or having automatic pressure pool cleaners to remove sand a clean pool is a necessity. Chlorine is the key ingredient to basic pool chemistry that sanitizes the water, but you should be cautious when coming into contact with it. When chlorine is not diluted or in the proper mixture, it can cause burns, which makes using a pool chlorine dispenser floater safer. 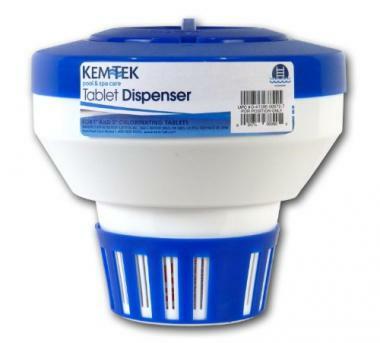 A floating chlorine tablet dispenser will hold the chlorine sticks or tablets and disperse it throughout the water, where it will be diluted and mixed into a contact safe form. It will also allow you to better control the amount of chlorine used and the rate at which it will dissolve. However, not all floating pool chlorine dispensers are the same. There are a few features that you should consider before making a purchase. These features along with pool chlorine dispenser reviews can help you determine what makes a quality chlorine floater. The size of your pool will determine how much chlorine you need to add to ensure it stays clean. Larger pools have more gallons of water and will need more chlorine, whereas smaller pools will require less. Depending on the size of your pool, you may want to add more than one dispenser. 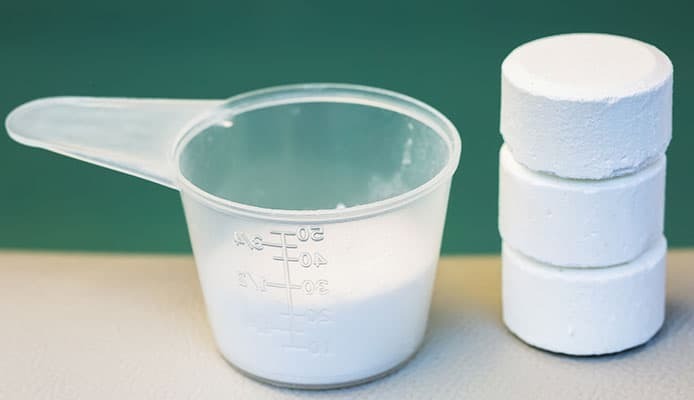 But you should be cautious because you can place a couple of chlorine sticks or tabs into one dispenser, so you don’t want to put too many dispensers in a small pool and create an imbalance in chlorine. 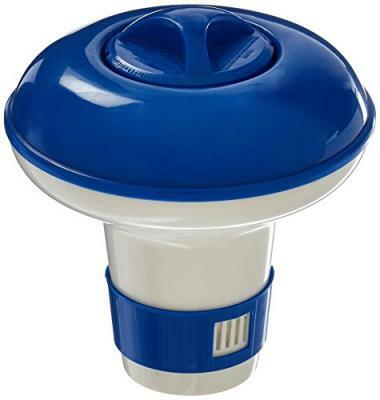 Swimming pool chlorine dispensers are made of a durable plastic. You will not often see a chlorine floater that is not made of plastic. Plastic is a great material because it is lightweight, clean, and strong. Plastic is a lightweight material, which is good because an automatic pool chemical dispenser needs to float on the surface and not sink to the bottom. It is also a material that will resist getting dirty. It won’t collect bacteria or other contaminants. It is also strong and will not be harmed by the chlorine. There are different types available in chlorine floater designs. Some designs are a liquid chlorine pool dispenser, which takes the chemical in liquid form. However, most designs on our list take a solid form of chlorine. These pool chlorine dispenser floaters will have a part that holds the chlorine and have small slits that allow it to dissolve and disperse. Some designs have a way that you can time or determine the rate at which the chlorine is released. These are the best chlorine dispenser for pool water designs because they allow you to use less chlorine. A floating chlorine tablet dispenser needs to be durable. It will be constantly in contact with water and chlorine, so it needs to resist breaking down. A top rated chlorine dispenser for pool water should be made of a durable plastic, which is strong and resistant to pool chemical damage. However, a pool chlorine dispenser floater should be able to withstand a few knocks. If you are swimming around the pool and accidentally kick your chlorine floater, it shouldn’t be damaged or break into pieces. It should be resilient enough to take a few bumps and hits too. There are a lot of different prices for floating pool chlorine dispensers. You can find expensive models and inexpensive models. The brand and where you purchase them may affect the price. However, you should always be able to find a swimming pool chlorine dispenser for your budget, no matter how high or low it is. Q: Why use a chlorine dispenser? A: A chlorine dispenser makes adding chlorine to your water effortless and simple. The best chlorine dispenser will allow you to integrate the chemical into your pool over a period of time, which means you can use less chlorine. Less chlorine means you can protect your hair, clothes, and skin from the chemical, but still have clean water. A top rated chlorine dispenser for pool water an work alongside other chemicals in your water like pool algaecides to rid your water of algae and keep it clean. This will ultimately allow you to better balance all the chemicals of your pool, including the pH level. With an automatic pool chemical dispenser, you’ll have a clean and stunning swimming pool with less effort. Q: How many chlorine dispensers do I need? A: This will depend on the size of your pool and how much chlorine it needs. You don’t have to use just one chlorine floater; you can use as many as you need. You should be certain that you keep the chlorine in balance and add the proper amount. 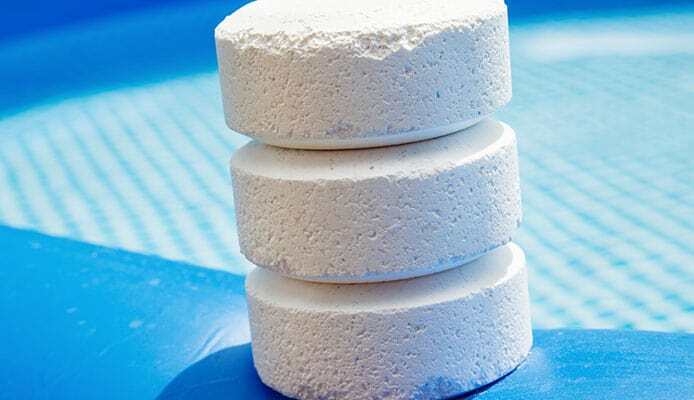 If you need a handful of chlorine tablets for a larger sized pool, you can split up those tablets into a couple different dispensers to a more even integration into your pool. Q: When should I use a chlorine dispenser? A: Always. Once you make the change to using an automatic pool chemical dispenser, pool maintenance will be easier and safer. 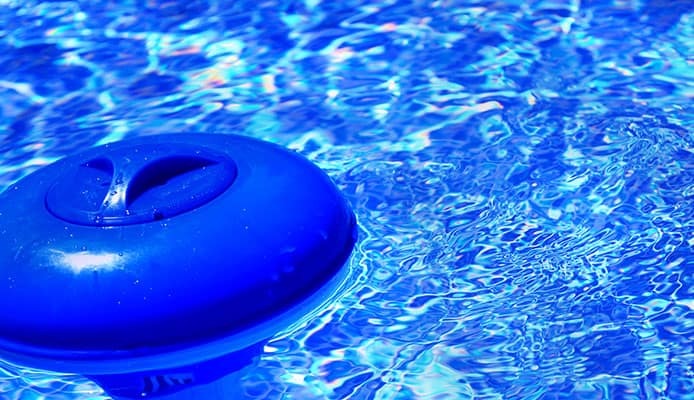 Instead of having to distribute chlorine throughout your pool, you can leave tablets inside a chlorine floater and allow it to dispense the chemical for you. This means less contact with the strong and undiluted chemical. You just have to remember to check the level of chlorine in your dispenser. Pool maintenance is extremely important. No one wants to dive into unclean water. One of the popular swimming pool tips that pool owners use is to integrate a floating chlorine tablet dispenser into their pool. With a top rated chlorine dispenser for pool water, your work becomes obsolete. Instead of worrying about constantly adding chlorine into your pool, it can be done automatically for you. The best pool chlorine dispenser will easily maintain clear and clean water. If you know exactly what you need, you can save time and money. Relax faster and invest in a chlorine floater. 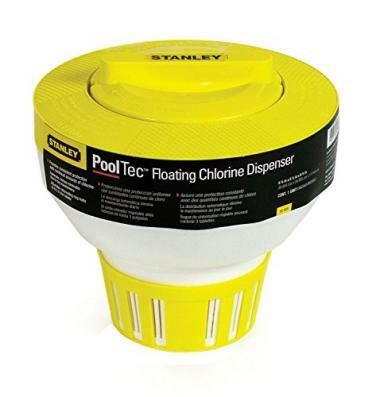 Do you own one of the pool chlorine dispensers that made it onto our list? Let us know how it has worked for your pool maintenance needs in the comments section below.